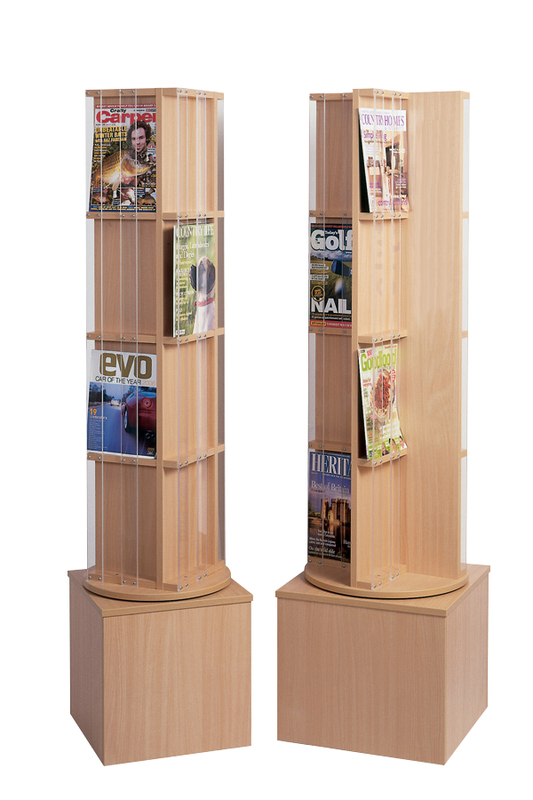 Keep your magazines tidy in this neat stand with multiple pockets. Pictured left, this book display has 16 display shelves with acrylic strips to hold magazines and periodicals. Available in 12 colours, this book spinner is 1800mm high (including base). Perfect for use in schools, libraries or reception areas. See our wide range of book spinners. For more information please Contact Us or call us on 01733 511121.